The cost is $10 for the test. Sibilings are also welcome to take it. Players should be 5 years old to get tested and continue testing every 2 years due to growth and development. Testing will take place at three locations: Overland Park Regional Medical Center, Research Medical Center, and Centerpoint Medical Center (Independence). 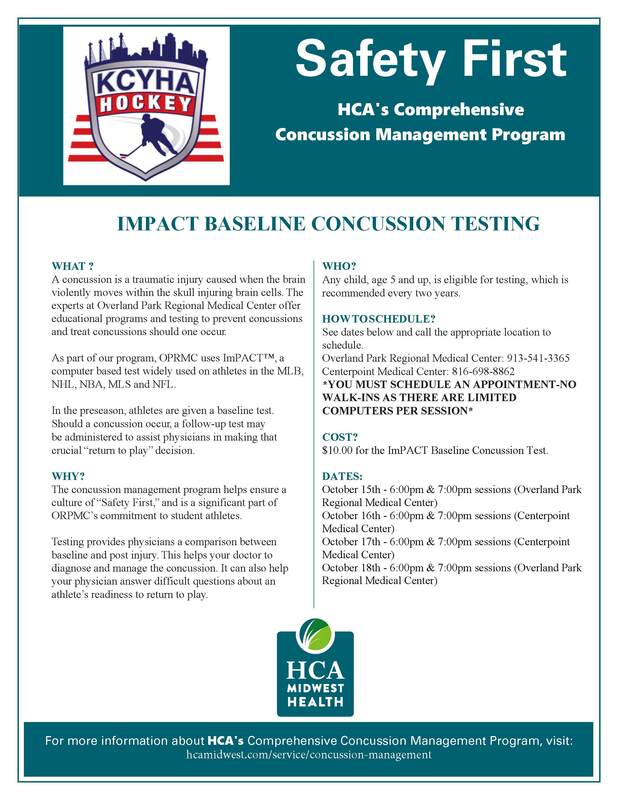 Baseline Concussion testing is done year round at the following locations.